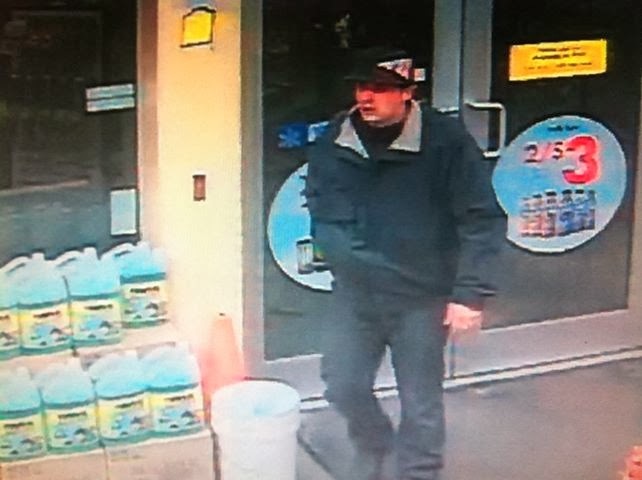 09-17-2013 - On Thursday December 19, 2013 at 11:42 P.M. a Caucasian Adult male entered the Shell Service Station located at, 1840 Trans Canada Highway in Revelstoke, BC. The unknown culprit demanded money or would cause harm to the teller. The culprit fled the store on foot towards the McDonalds restaurant located across the street. This unknown culprit can be observed in digital imagery attached. If you have any information about this attempted Break and Enter or any other criminal act, please do not hesitate to contact the Revelstoke RCMP at 250.837-5255 or Crime Stoppers at 1-800-222-8477 or visit their website at www.revelstokecrimestoppers.ca.